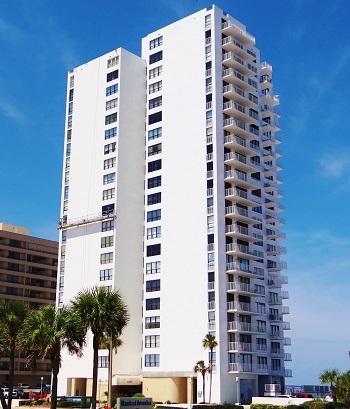 Oceans Three is located on the Atlantic Ocean in the greater Daytona Beach Shores. With only 6 units per floor this complex offers privacy and unbelievable ocean and river views. Conveniently located near banking, shopping, a pharmacy, supermarket and restaurants. If you are looking for an affordable oceanfront building and units that offer great views, Oceans Three would be a great option. This 21 floor, 120 unit complex allows one pet up to 20 lbs. The association requires a minimum 2 month rental policy for investor's units. Buy your piece of paradise on the Worlds Most Famous Beach in Daytona Beach Shores, "Life is better here!" Contact Team Gagliardi today!